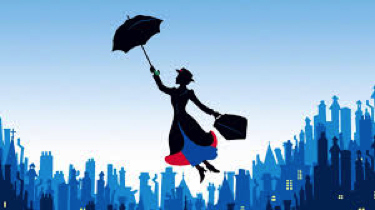 As a little girl, I played one of my favorite records, the soundtrack from Disney’s Mary Poppins movie, until it was scratched beyond repair and, to my dismay, thrown in the garbage. My own children played their favorite cassette tapes until the tapes were worn out, tangled, or broken. Now, my four-year-old granddaughter has the world of music at her fingertips and at her whim, she commands “Alexa” to play “Belle” from Beauty and the Beast or “How Far I’ll Go” from Moana. Times have certainly changed! And with the changing times, ACLEA is changing too. We surveyed, you spoke, and we have responded. In this age of technological advances, shrinking budgets, and burdened staffs, we have realized that ACLEA needs to take advantage of new options for our conferences. From our surveys, we learned that you are a flexible and adaptable group of professionals, open to innovation and change, in part out of necessity, as the legal profession we serve experiences a tidal wave of change. We learned that although you would love to, you can’t all come to two conferences a year, you can’t be out of your offices multiple days at a time for ACLEA, and you want to take full advantage of technology to access ACLEA resources. We are super excited to be presenting the educational sessions at the high-tech, state of the art, recently opened Beus Center for Law and Society which houses the Sandra Day O’Connor College of Law (professional home of ACLEA member Christopher Marohn). The facility is decked out with the latest in technology and will provide us new opportunities and options, such as webcasting sessions, conference call capabilities for SIG meetings, and more, all at a fraction of the AV costs of traditional hotel venues. But don’t worry, the hotel room block is just across the street at the lovely Sheraton Grand Phoenix Hotel, in the heart of downtown, providing you the comfort to which you are accustomed! The schedule will be packed full of those traditional must-have opportunities for networking through dine-arounds, a conference reception, SIG and Committee meetings, and breaks. And of course our exhibitors and sponsors will be showcased so you can find out about all the latest developments in the CLE industry! The planning committee, chaired by ACLEA’s “let’s try it” member Sarah Fluke from the State Bar of Arizona, has begun their work and we are excited that, in addition to our traditional sessions, they will be planning a full track of innovative, in-depth programs to take your learning to a new level. You will be receiving a call for proposals soon that will provide an opportunity for you (or your favorite presenters) to propose innovative topics, presenters, formats, and more. “Somethin’ is brewin’” and we are spreading the news early so you can save the date, get your creative juices flowing, and join us as ACLEA changes with the times to better serve you and our CLE profession. I’ll see you in San Antonio!